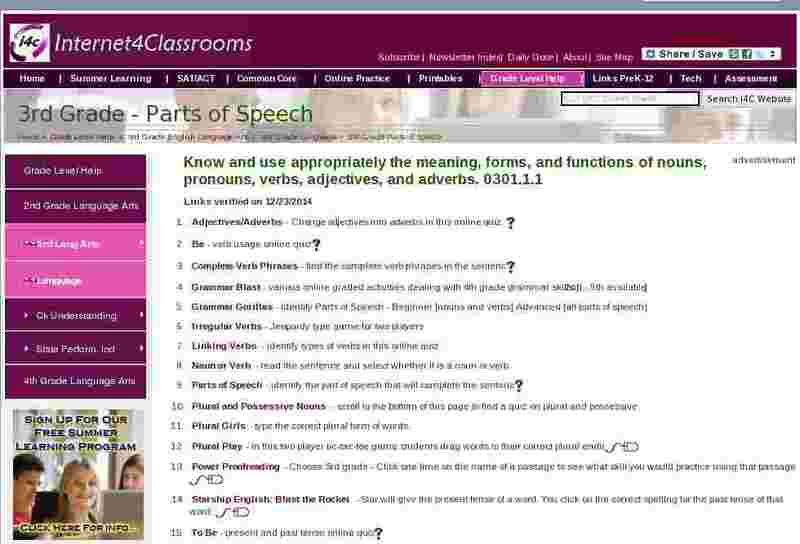 Adjectives/Adverbs - Change adjectives into adverbs in this online quiz. Noun or Verb - read the sentence and select whether it is a noun or verb. Plural and Possessive Nouns - scroll to the bottom of this page to find a quiz on plural and possessive. Starship English: Blast the Rocket - Star will give the present tense of a word. You click on the correct spelling for the past tense of that word. Verb Power - Students identify underlined words as main verbs, helping verbs or contractions.